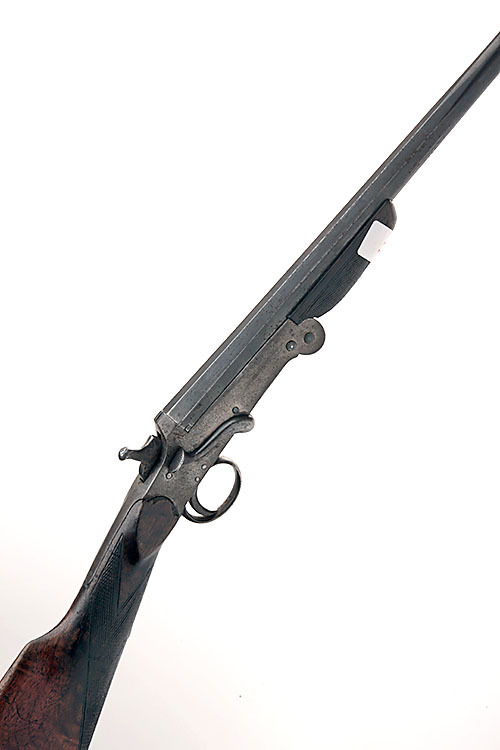 A BELGIAN .410 SINGLE-BARRELLED SIDELEVER FOLDING HAMMERGUN, serial no. 7909, 28in. nitro reproved octagonal to round barrel, 2 1/2in. chamber, bored approx. imp. cyl. choke, 14in. stock (pinned at head) with steel buttplate, weight 3lb. 8oz.